Mr. Lehdonvirta has managed the activities of the private equity fund PEMF from its inception in 1999 until the end of investment period in 2006 and again since Nov. 2012 during the exit phase. 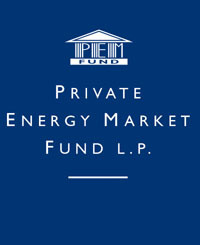 The Fund has contributed to the development, structuring and closing of international energy investments and on hands-on management and corporate governance in Europe and Asia, often as the majority shareholder. The investments include wind, CHP, biomass, biogas and energy efficiency.